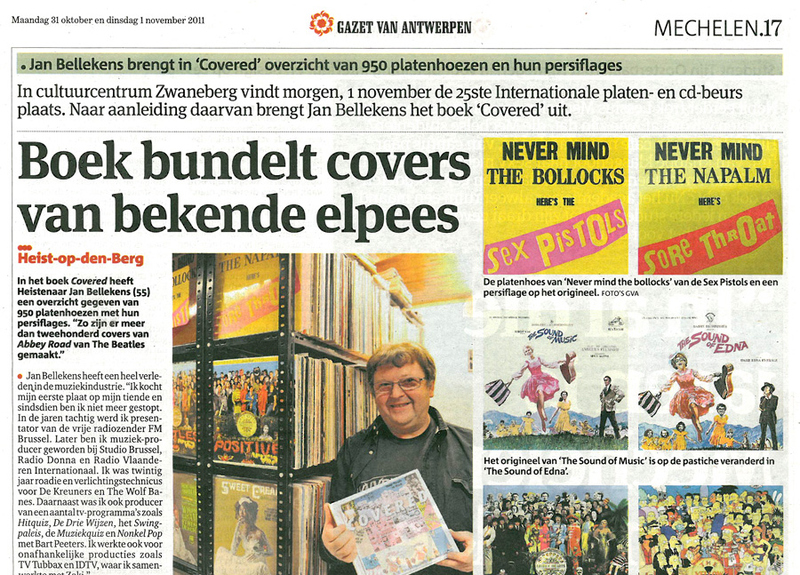 Author Jan Bellekens has been grabbed for a story on the Covered book by the Gazet van Antwerpen (Antwerp Gazette), one of Belgium’s national papers. They interviewed him about the book and photographed him for the paper, as well as running a selection of whacky covers. Jan has also been featured in another local paper. Here’s a clip from the Antwerp feature; you can look at them in full on our site here. This entry was posted in News by simon robinson. Bookmark the permalink.